Hair care is the new skin care, it's time to take care of our hair just like our skin. 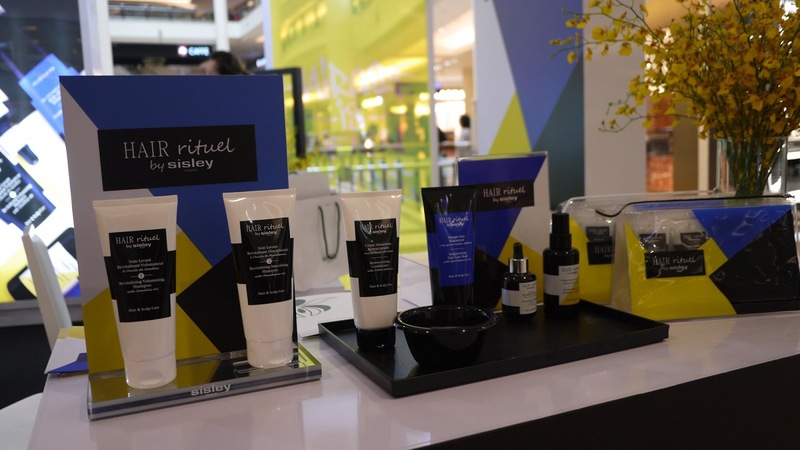 The skincare expert from Swiss: SISLEY PARIS has launched their brand new haircare - HAIR RITUEL by SISLEY PARIS. We were excited to be invited to explore the new haircare range that consist of six essential treatment products creating a complete, sensorial beauty ritual intended for both women and men, and for all types of hair, including colored and highlighted hair. 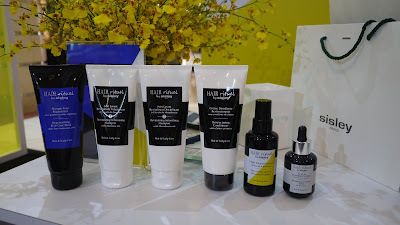 Formulated with high concentrations of powerful plant-based active ingredients as we know them from the brand’s facial and body care, HAIR RITUEL by SISLEY PARIS hair care products work on both the scalp and the hair fibre to provide global action. The new brand offers an effective, sensorial, complete hair care routine to clean, regenerate, fortify, and beautify hair every day. We were treated a hair pampering session using the HAIR RITUEL by SISLEY PARIS range. We are loving these amazing products which is easy to use and great for the hair. Formulated with Camellia oil, the Revitalizing Volumizing Shampoo gently clean and revitalize the scalp and hair, giving a more body and thicker feelings to the hair. Formulated with Macadamia oil to sheathed the hair, hair is visibly smoother after using Revitalizing Smoothing Shampoo. Formulated with Cotton Proteins, Restructuring Conditioner restructures hair and increases its resistance in just 3 minutes. Hair is more silky and easier to style after using it. Formulated with four botanical oils, Regenerating Hair Care Mask overall regenerate the scalp and hair. Hair feels stronger, softer and shinier immediately. It is easy to use, just apply Regenerating Hair Care Mask to scalp and hair for 10 minutes then rinse off. A genius Revitalizing Fortifying Serum that slows hair loss and promotes stronger, denser hair. It instantly soothes feelings of discomfort on the scalp and provides volume and tone to the hair. To use, just apply 3 pipettes, section by section, to dry or damp hair on the scalp, then massage in. Do not rinse after it, hair will become more resistant to damage after use. Precious Hair Care Oil is such an amazing product that everyone should have! It gives a radiant touch to the hair while nourishes, smoothed and creates a film of light along the length and tips of the hair. Our damaged hair is shine and soft instantly after apply Precious Hair Care Oil. What we like the most about HAIR RITUEL by SISLEY PARIS is that the products are Sulfate-free, and they have a luxurios aroma therapeutic botanical scents for a holistic hair care experience. 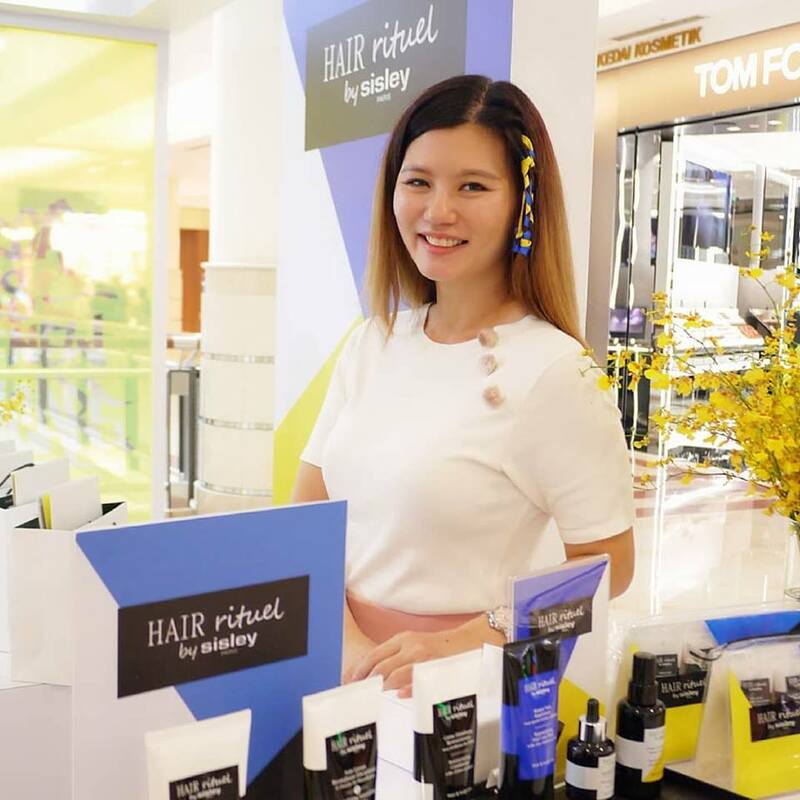 Go and experience HAIR RITUEL by SISLEY PARIS at their outpost at outside of Isetan KLCC, Ground Floor until this Sunday. Now, life is definitely better with good hair. HAIR RITUEL by SISLEY PARIS is available from July 2018 at SISLEY PARIS counters and selected A Cut Above outlets. Visit SISLEY PARIS official website for more information. good info. new product kan.